Anna Majczak's three gold medals ! 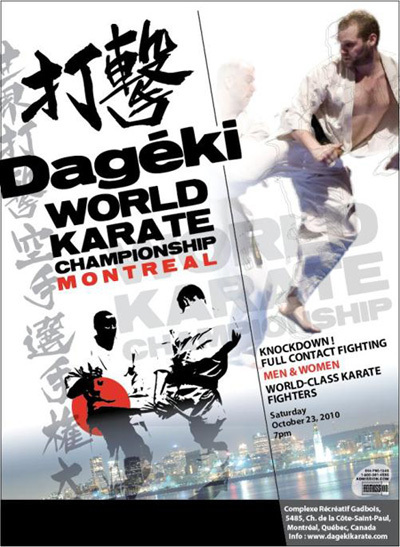 Polish representatives from OYAMA Polish Karate Federation did a great job at the DAGEKI Karate World Championships in Montreal. They won seven medals, 6 gold and one bronze!!! 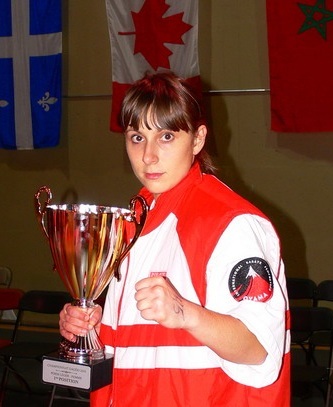 Roaring success was achieved by Anna Majczak 2nd dan (club trainer Sensei Marcin Majczak 3rd dan) who won three gold medals in: kata, kobudo and knockdown (under 58.5 kg division). Congratulations, OSU! The team trainer and manager was Sensei Rafał Majda 4th dan, Jelenia Góra. As every year, Sensei Robert Małocha 3rd dan (USA), President of Sponsors OYAMA IKF, gave to the Polish representatives inappreciable help. Thank you, OSU! In the free time our representatives visited Montreal and its surroundings. karate organizations from North America and Europe. Apart from Poles, there were also representatives of OYAMA IKF from Russia with its leader Sensei Igor Gubaydulin 4th dan. Congratulations on the great performance, OSU !